Irish graduates are at the forefront of the app evolution, creating new business and opportunities. In the last few years Ireland’s reputation as one of the world’s most promising hubs for technological development has been evolving. Long boasting a large volume of multinationals on our shores, the country has become renowned not just for the high profile businesses that have jumped at the chance to set up here, but for the talents and technical abilities of the well-educated workforce that has been trained and employed to maintain and develop the global brands of corporations like Google, Microsoft and Apple. In recent years many of these talented and knowledgeable individuals have been turning their attention to apps, a fast-growing and highly popular market with millions of customers available worldwide at the click of a mouse. New start-ups based on app development and on apps themselves have been springing up all around the country. ‘Appreneurs’ as they’re being called (a play on the words app and entrepreneur),are arguably most responsible for the rapid growth of the apps sphere, and are behind many of the most common apps (Facebook, Twitter) on smartphones today. Whether working with the backing of large MNCs or on their own steam, app developers are changing the way we interact with our computers and communication devices, generating new business as they go. One of the most noteworthy and successful apps released by his students was done in cooperation with the National Adult Literacy Agency (NALA), aiming to teach adults with reading and writing difficulties to learn how to develop their own skills through a familiar medium. The students who developed the app have since gone on the establish their own company. Glass Robot Studios, based in Dublin, is currently flourishing; developing a wide range of apps based on everything from education and learning to social media and games. One of the most popular Irish educational apps of recent times is Numerosity,which developed by Irish educational technology provider ThoughtBox, has to date received over 20,000 downloads from a multitude of high value markets around the world, including Brazil and Germany, and has been translated into six languages. 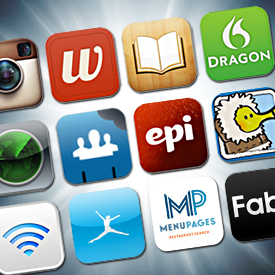 The app is one of hundreds that has seen Irish developers prosper at home and abroad. Another is Grace, which is designed to aid autistic children in their learning, and for Kirwan is the stand-out Irish developed app. Both Duggan and Kirwan agree that there is much more room for apps to expand into and that the technology is nowhere near peaking. One trend Kirwan says he is beginning to notice in his own business is a growing demand for finance orientated apps, which although they have been around for a while, continue to grow in popularity. While apps this year and next will more than likely remain compatible with today’s technology, one thing that’s a sure bet is that apps will continue to evolve at considerable speed. “Modern android apps look nothing like android apps two years ago so there’s a constant recylcing and that’s just going to accelerate. The app didn’t exist before the iPhone, and even then there was no app store. As devices become more powerful – and that’s just been the trend in this industry for the last 30 years or so,” Duggan explains. Exactly what apps will look like in five or 10 years time is anyone’s guess, but with the pace at which our third level institutions are churning out computer science graduates, it’s certain that Irish minds will be on the frontline. Next What should the Chinese Gov’t do about its Air Pollution?